Home > Certified Vehicles > Volvo > V60 Cross Country > 2017 > 2017 Volvo V60 Cross Country T5 Premier- 0.9% Financement Disponible! 2017 Volvo V60 Cross Country T5 Premier- 0.9% Financement Disponible! 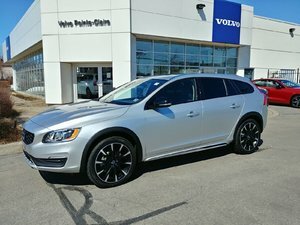 2017 Volvo V60 Cross Country T5 AWD Premier- Garantie 6ans/160 000KM- 0.9% Financement Disponible. VENEZ VOIR LE PLUS VASTE INVENTAIRE DE VÉHICULES CERTIFIÉS!! 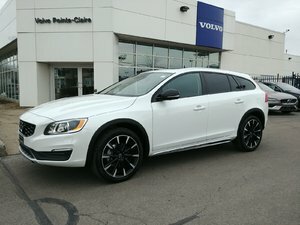 COME SEE THE LARGEST INVENTORY OF CERTIFIED PRE-OWNED VOLVOS!! CERTIFICATION DISPONIBLE JUSQU'À 10ANS/200000KM. CERTIFICATION UP TO 10YEARS/200000KM AVAILABLE. FINANCEMENT À PARTIR DE 0.9% FINANCING STARTING AT 0.9%. WE SHIP ANYWHERE IN CANADA ! 15 Autoplaza, à Pointe-Claire dans l'Ouest de Montréal. Interested in the 2017 Volvo V60 Cross Country T5 Premier- 0.9% Financement Disponible! ? 2018 Volvo V60 Cross Country T5 Premier- 0.9% Financement Disponible! I wish to receive recalls, news and promotional emails from Uptown Volvo Cars West Island.